Mike Carey | Magazines and Monsters! I’m finding it more difficult these days to find good comic books, but every once in a while, something very good turns up. 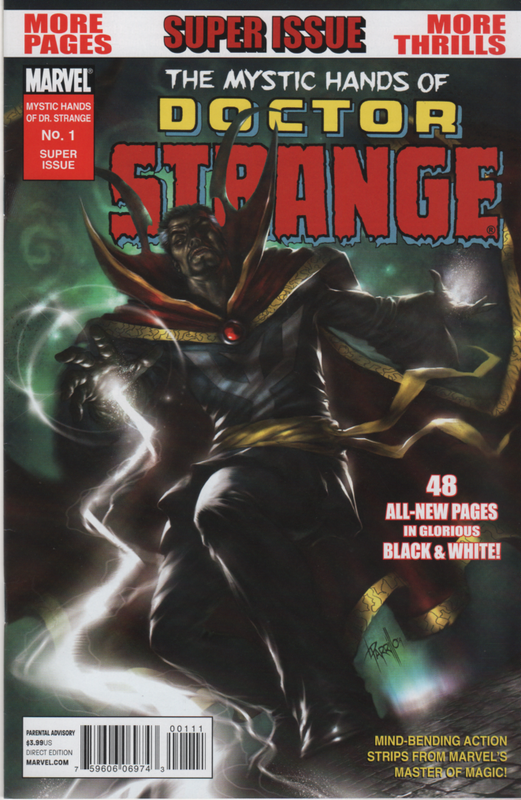 In 2009/10, Marvel released “Super Issues” with 48 pages of black and white content that was all new material. In this specific issue, we get four stories that are excellent! Only one of the stories features a regular Marvel villain, the rest are supernatural. All are very different in appearance but the same in the Master of the Mystic arts is in them! The first tale “The Cure” is one that involves a “doktor” that promises help through a kind of group therapy. 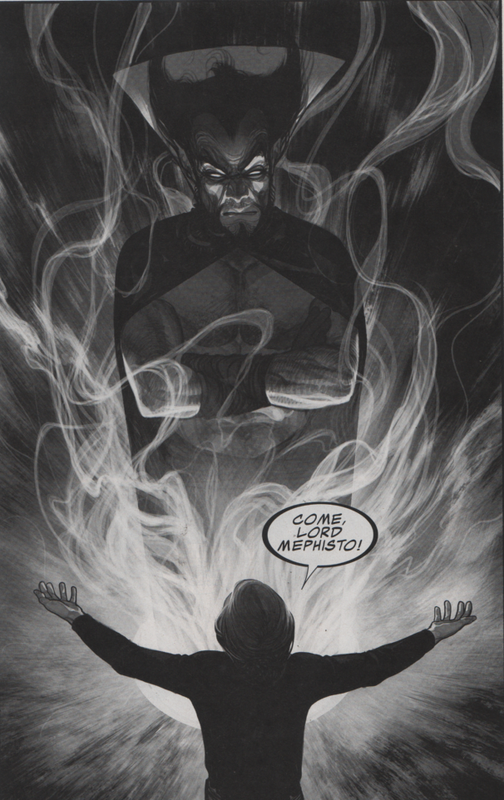 In the end though, the dark lord Mephisto has something more sinister in mind! Written by Kieron Gillen and art by Frazer Irving. Next we see an abusive relationship gone awry. “Melancholia” shows us a woman possessed by a demon. This one also has a very interesting ending, one that I’m not sure has ever been revisited. 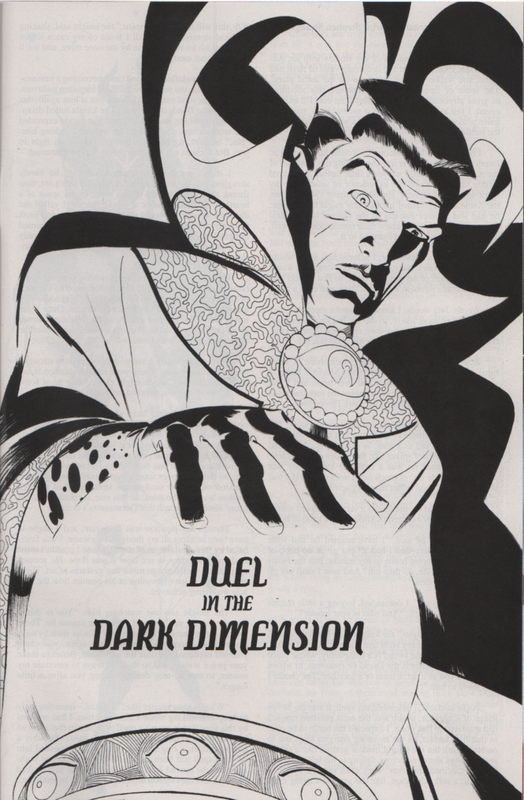 Written by Peter Milligan, art by Frank Brunner! The third story (“So This is How it Feels”) is one of the most daring stories about the Doc. He’s become an alcoholic, and is wandering the city streets in search of his next bottle. He runs into one man who has a very special bottle, and it’s one that Stephen Strange will never forget! 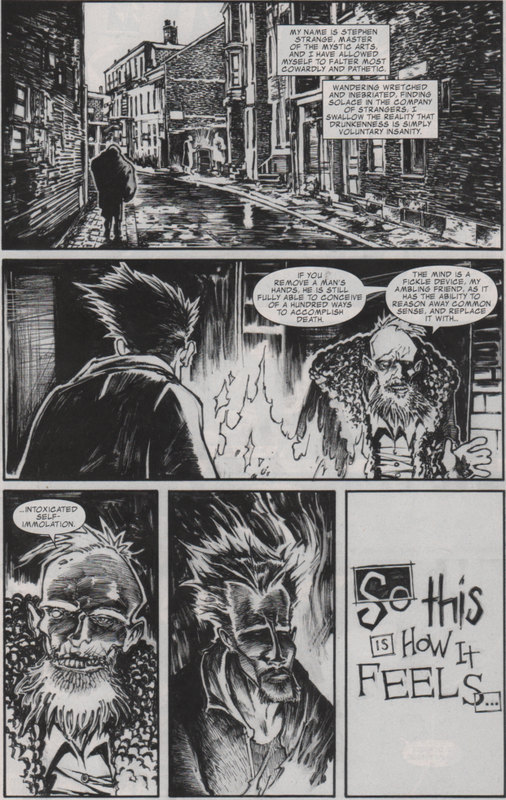 Written and dawn by Ted McKeever. Last but certainly not least, Doctor Strange remembers a time when he was still under the tutelage of the Ancient One. 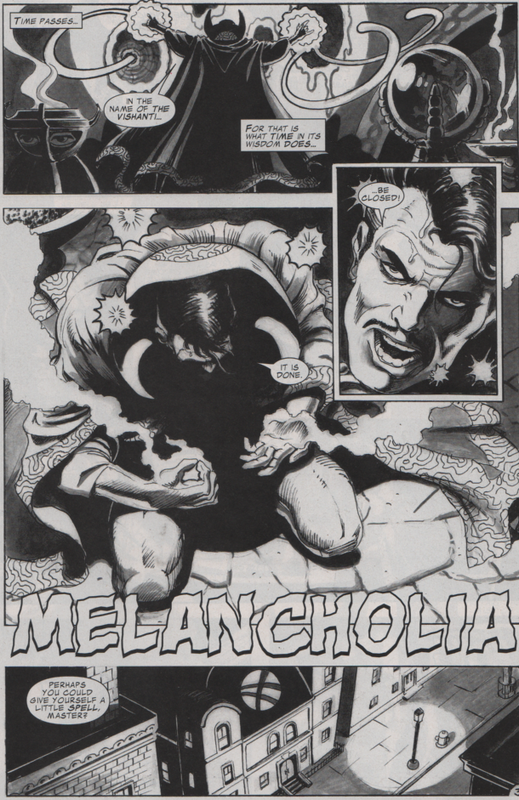 Stephen ends up in the Dark Dimension and in battle with one of Dormammu’s minions. The story is mostly prose with one splash page and two small illustrations. Written by Mike Carey with illustrations by Marcos Martin.